Ortofon AS-309S 12" Static-Balance Tonearm 12" Static-Balance Tonearm. 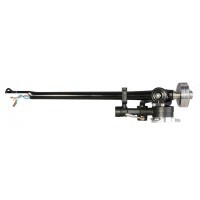 ..
Ortofon RS-309D 12" Dynamic-Balance Tonearm 12" Dynamic-Balance Tonearm. RS 3..
Ortofon TA-110 9" Static-Balance Tonearm 9" Static-Balance Tonearm. TA 110 ..
Ortofon TA-210 12" Static-Balance Tonearm 12" Static-Balance Tonearm. TA 210 ..
Rega RB2000 Tonearm Increasing the amount of detail retrieved from the record surface R..
Rega RB202 Tonearm Low friction levels and performance way beyond the expectations RB 2..
Rega RB303 Tonearm Offering improved ergonomics, usability and sonic performance. RB 30..
Rega RB330 Tonearm Offering improved ergonomics, usability and sonic performance. RB 33..
Rega RB808 Tonearm Offering improved ergonomics, usability and sonic performance. RB 80..